Donna A. Patterson, Ph.D. is Chair of the Department of History, Political Science, and Philosophy and the Director of Africana Studies at Delaware State University. She teaches coureses in African, African diaspora, and African American studies. She is the author of Pharmacy in Senegal: Gender, Healing, and Entrepreneurship. She has published scholarly articles on pharmaceutical markets, women pharmacists and Ebola in the Journal of Women’s History, Anthropologie et Santé, Journal of Global Health Reports and Journal of Healthcare for the Poor and Underserved. 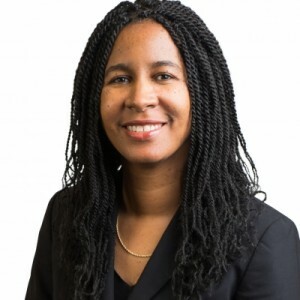 Her forthcoming work includes an essay entitled “Women in Senegal” for the Oxford Research Encyclopedia and an article on Chinese investment in African pharmaceutical markets. Dr. Patterson is currently working on two larger projects. One, “Drug Trafficking, Drug Consumption, and Health in Africa,” and a second, “Ebola, West Africa and the World.” Patterson is currently a fellow in the International Security Program at Washington-DC based think-tank: New America. She regularly lectures and participates in meetings on global health, security, African and African American studies, and African politics. For instance, in fall 2018, she participated in a panel on healthcare in Africa at the Wharton Africa Business Forum and gave a keynote lecture on her book, Pharmacy in Senegal at the African American Women in Pharmacy Conference. Also, at the African Studies Association meeting, she participated and chaired panels on U.S. government policy in the Red Sea and on migrants from the Horn of Africa. Her media commentary on global health, international security, African and European politics, and current events has appeared at Slate, Washington Post, Huffington Post, Foreign Policy, Christian Science Monitor, Pacific Standard, New America Weekly, Pacifica and in other outlets. For more information, please visit her website. L’épidémie d’Ebola qui a frappé l’Afrique de l’Ouest en 2014 diffère considérablement des précédentes épidémies par son ampleur et la rapidité de sa progression. L’article adopte une approche historique et ethnographique du contexte de sa survenue. À bien des égards, l’épidémie a été sans précédent mais le Sénégal et le Nigeria ont été capables, grâce à des services de santé publique plus performants, de réagir plus rapidement et plus efficacement que les pays foyers de l’épidémie : le Liberia, la Sierra Leone et la Guinée. L’article analyse la source des disparités relevées au niveau des infrastructures biomédicales et des réponses politiques et sociales à la menace virale, et propose des recommandations pour l’avenir. Pharmacy in Senegal explores the rise and expansion of pharmacies in Senegal in the 20th century. In Senegal, as in many African nations, the pharmacy is often the center of biomedical care, where pharmacists provide examinations and diagnoses and prescribe medicines. Donna A. Patterson notes that many pharmacists are women, which adds an important dimension to this story about medical training and the medical profession. In a health care landscape that includes traditional healers, herbalists, and Muslim healers, women pharmacists have become a mainstay of the local standard of care. Patterson provides a greater understanding of the role pharmacists play in bringing health care to the people they serve. Slate Magazine, Foreign Policy, Washington Post, Huffington Post, NPR, Global Health Now, Sciences Humaines (France), The Atlantic, Pacific Standard, New York Times, Boston Globe, Pharmacy Times, New America Weekly, WGBH, Pacifica.